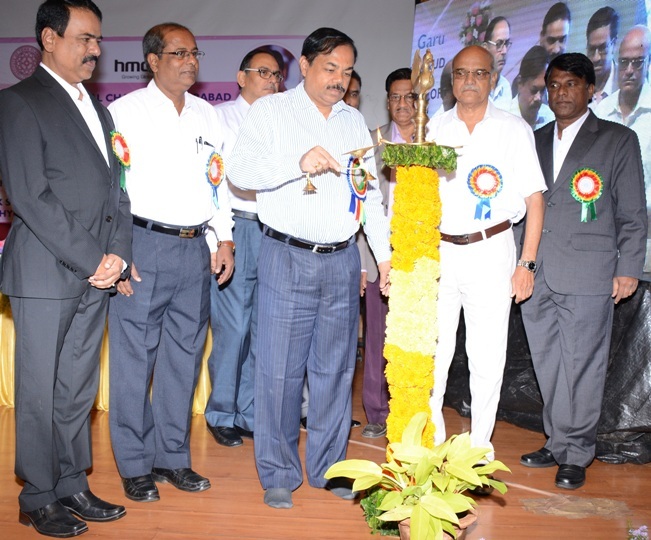 The Institute of Town Planners India, Telangana Regional Chapter, Hyderabad (ITPI - TRC) in association with HMDA organized a One day workshop on “Integrated Master Plan for Hyderabad Metropolitan Region.”The workshop was ordered to happen by Hon’ble Sri K. T Rama Rao – Minister for IT, Industries, MAUD and NRI affairs. The workshop was organised with an objective of getting a holistic view from the eminent town planners across the country required to integrate the 5 existing master plans for the Hyderabad city and developing a comprehensive revised masterplan for Hyderabad Metropolitan Region (HMR) integrating the present day requirements, incorporating the need for the development of Transit Oriented Growth Corridors and the development of the region around ORR and beyond essential to transform Hyderabad into a global smart city. Setting the tone for the workshop Sri. T Chiranjeevulu, IAS, Commissioner, HMDA said, “The Hyderabad metropolitan region has 5 different plans in different formats with different zoning regions etc. To integrate the plans we need to adopt a 3 pronged strategy. The first phase would be to convert the existing masterplans in the same format andachieve seamless connectivity. It requires to achieve uniform zoning regulations and common horizon year for a proper integration of different land use corridors and the development of infrastructure while preserving the existing environment and heritage. Adding to this Dr. D S Meshram, President ITPI said, “The biggest challenge for the cities today is to have a comprehensive master plan for the city capturing the accurate details of different preservation and development zones and detailed specifications for drainage, water and sanitation, roads and transport with traffic flows, electricity, drinking water supply, telecommunication and optical fibre network along with the planning for the future infrastructure required by the city. Thanking the participants Sri K. Purushotham Reddy, Director Planning HMDA and Hon. Secretary, Institute of Town Planners India – Telangana Regional Chapter said “Last 2 years, since the formation of Telangana State, we have seen a lot of proactive measures being taken by the government making the state one of the best managed states in the country. Hyderabad city has a cosmopolitan population of approx. 10 million which will probably double when the corporates start and enhance the operations in the city. Even the 158 Km 8 lane ORR with the established radial road network will house the proposed Transit oriented growth corridors, needing to be developed as self-sustained townships. The institute of Town Planners, India was established in 1951 with the objective to provide a formal structure and advance the study of town planning, civic design and kindered subjects. The Institute promotes planned economic, scientific and artistic development of towns, cities and rural areas. It sets the guidelines for the practice of town planning and conducts various seminars, conferences and meetings to exchange views on matters relating to town and country planning.